I work alongside so many great vendors at weddings, so naturally I always love to chat to them to understand their job a little better. The more I know about the different vendors, the easier it is for me to work with them so we all end up with the best results on a wedding day. Today on the blog, we chat to Emily Mcgrath and get a little insight and some tips into makeup artistry. Many people would love to have a little thriving business like yours, how did it all start for you Emily? I had always had a huge love for the way makeup can transform you and instantly change the way someone feels. Not only emotionally, physically as well. Makeup had been engrained in me ever since I was little. I found myself experimenting with my mother’s makeup, rocking the bright blue mascara and glitter. I had always dreamed of being a makeup artist but never thought it would be something that could be possible. Until one day when I was walking passed some shops on my lunch break, I noticed a SPFX school. The images of zombies and body art caught my eye. It just felt like home and I knew from that moment that would be what I was destined to do. When I finished makeup school, my first makeup job was with a popular Australian magazine and a famous Australian Olympian. I remember feeling so inspired and motivated to keep perusing this line of work. I felt as if it just came so naturally to me. I was then lucky enough to work with the most inspirational and creative makeup artists. From Film, TV, photoshoots, body painting, runway and bridal. I learnt so much and without these amazing artists, I don’t think I would have had the experiences that I was fortunate to have. I continued doing makeup on the Gold Coast until two years ago until we moved our little family to the Bellarine Peninsula. Since moving to Victoria my business has just bloomed, especially in the bridal industry. I love that I get to be that one special person, chosen to be a part of a someone’s special day. I’ve now being doing makeup for 11 years now and I still absolutely love what I do. Emily, I love seeing you work at many weddings I shoot, How do you manage to book such rad weddings? I’m so lucky, the majority of my weddings have come from ‘word of mouth’, which I feel is the most rewarding aspect of the job. I have had the most beautiful clients and formed the most amazing friendships in my years. The joy that each client has brought me, has encouraged me to continue with my business and master my craft. I feel this reflects on all my clients as well. Why do you love this job so much? You never ‘work’ a day in your life, when you love what you do… I get to be creative, meet some extraordinary people and most importantly, be part of making a bride feel amazing on her special day. 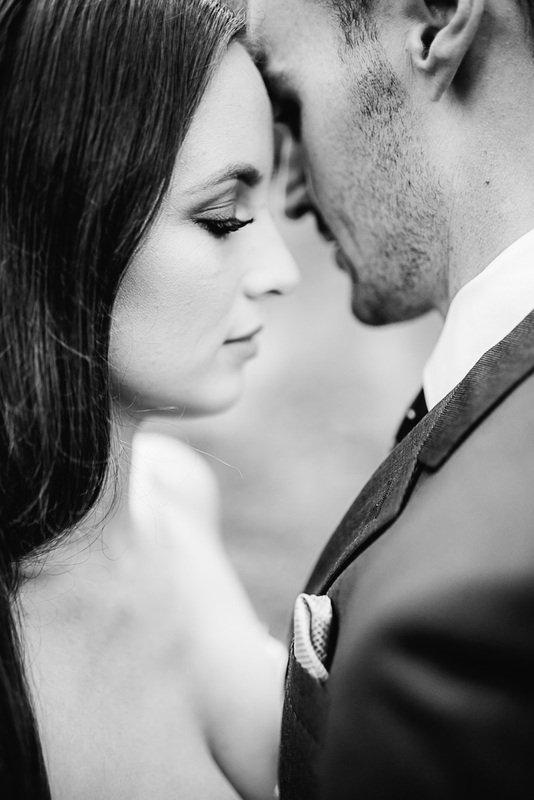 Do you have any advice for brides that are looking for the right Make up artist for them? My advice for brides looking for the right makeup artist would be to find someone who you feel comfortable with on a personal level. Ensure that you love, love, love their work and you will be confident in their abilities and skills. Once you find the right makeup artist, you should feel confident enough to ask them anything. Never be embarrassed if you’re wanting to change the direction of the makeup application on your trial. I strongly believe you should always leave your makeup trial feeling 100% beautiful, confident and happy. Do you recommend every bride get a trial done before the wedding? 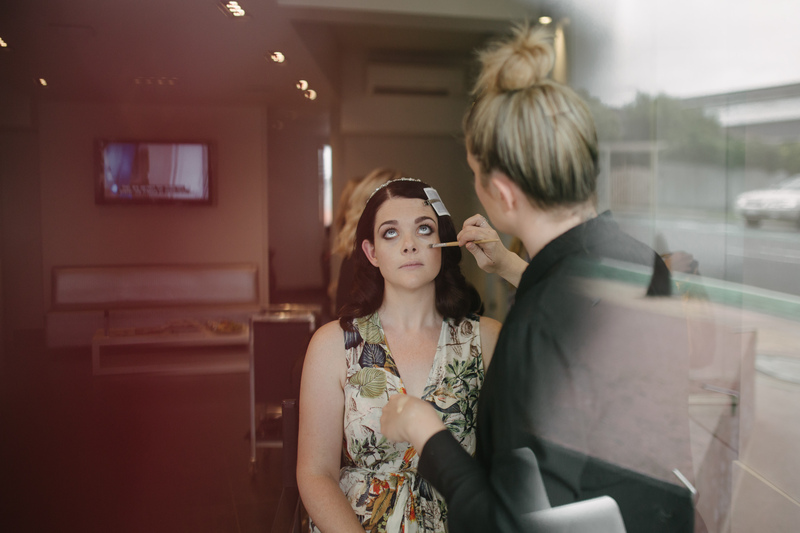 Some brides feel comfortable booking their makeup artist without having a trial as it might not be in their budget, they may live interstate or simply don’t have the time. Makeup trials are a fantastic way to spend time with your makeup artist and get to know them on a personal level. You can work together with your makeup artist to create the exact look you dreamed of for your special day. On your trial, bring along images of some styles that you do and don’t like to give your artist an idea of exactly what you’re after (Pinterest will be your best friend). I also suggest when you have a night out, take advantage of your beautiful makeup and not spend the night at home. Your hens or a special function is always the best opportunity for a makeup trial. Do you usually work on your own? Most of the time I do work alone but I also am surrounded by so many amazing people. From clients, Hair Stylists, Wedding Planners, Photographers, Florists etc. I love getting to meet new people as it’s a great way to network and also create new friendships. What about the bridesmaids? Is it recommended to use you for the bride and the bridesmaids? I always recommend for my brides to have a trial but it’s completely up to the bridesmaid/s as to whether they have a makeup trial or not. I do recommend anyone with sensitive skin or very specific requirements to have a makeup trial, especially if the bridesmaid has a lot of reactions to products. I’m very particular about having continuity and consistency amongst the bridal party. 90% of the time I would be booked for the whole bridal party. There has been the odd occasion when I have been booked for just the Bride but due to inconsistencies I have found myself re-doing the bridesmaids makeup. If you do chose to have another makeup artist, I would suggest to contact your makeup artist to see if they recommend someone that they work with, who knows their style and can compliment each other’s makeup style. I am a big fan of listening to a wide range of music in my studio when I am working up a storm. What would we typically find playing in your studio whilst you are working up a storm? Thanks Emily, I love working with you! Do you have anything you would like to add? Thanks Jai, I’m so grateful to have the opportunity to work with such an amazing and creative artist. Everything you capture is absolutely beautiful as are the people you surround yourself with. I look forward to working with you more in the future! I love Emily’s work. She is amazing makeup artist. I am already booking her for my wedding next year. Thanks for talking about how makeup trials are a great way to get to know your makeup artist just a bit before the big day. That is something I want to try out to make sure I have the perfect look for my wedding. I will have to look for makeup artists that could do that for me so that I am ready for my special day!